Home > all > Sports News > Late PNG Rugby League star Kato Ottio died from complicated heat stroke. 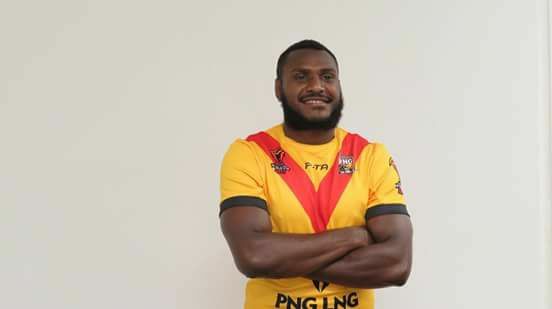 Late PNG Rugby League star Kato Ottio died from complicated heat stroke. This has been confirmed by the Pacific International Hospital. Heat stroke is a serious form of heat injury, caused by the body overheating, usually as a result of prolonged exposure to or physical exertion in high temperatures. Heat stroke occurs if the body temperature rises to 104 F (40 C) or higher. According to doctor attending to him in the ICU ( Intensive Care unit ) Dr Jaiyesh Kumar, the late PNG Kumuls player was already showing symptoms of heat stroke when he was rushed into emergency yesterday afternoon. Ottio had collapsed during training with the SP Hunters, on Sunday. He was taken to the Gerehu General Hospital before his conditioned worsened and was taken to PIH. Dr Kumar confirms receiving the 24 year old at about 6:30pm on January 8th. But he says Ottio was already disoriented when he was brought in. Most his organs were already affected, the heart, liver, kidney. And he was bleeding profusely. Kumar says at least 15 – 20 bags of Fridge Frozen Plasma (FFP), 5 blood bags and 2 palettes were used to transfuse him. Untreated heatstroke can quickly damage your brain, heart, kidneys and muscles. The damage worsens the longer treatment is delayed, increasing your risk of serious complications or death. Late Ottio passed on at 2 am this morning. He died due to DIC (Disseminated Intra-vascular Coagulation) - clotting process is disrupted, causing him to bleed from everywhere.